Antarctic ice melt causes small shift in gravity. 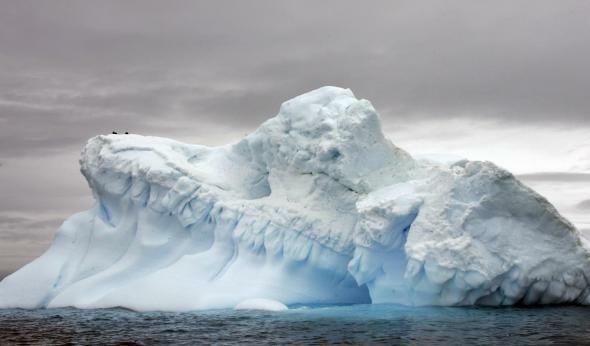 Gravity—yes, gravity—is the latest victim of climate change in Antarctica. That’s the stunning conclusion announced Friday by the European Space Agency. Though we all learned in high-school physics that gravity is a constant, it actually varies slightly depending on where you are on the Earth’s surface and the density of the rock (or, in this case, ice) beneath your feet. During a four-year mission, the ESA satellite mapped these changes in unprecedented detail and was able to detect a significant decrease in the region of Antarctica where land ice is melting fastest. Previous research with data from a third satellite, CryoSat (also from ESA), has shown ice loss from this portion of West Antarctica has increased by three-fold since just 2009, with 500 cubic kilometers of ice now melting each year from Greenland and Antarctica combined. That’s an iceberg the size of Manhattan, three-and-a-half miles thick.